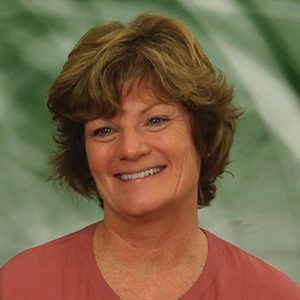 Mary Jane Mulcahey is Professor and Director of Research in Occupational Therapy at Jefferson College of Health Professionals, Thomas Jefferson University, Philadelphia, PA, and on the scientific staff at Shriners Hospitals for Children, Philadelphia. She has worked in spinal cord injury for over 25 years as a clinician, scientist and educator, and has focused her work on developing and validating meaningful outcome instruments for pediatric Spinal Cord Injury. She has a Bachelors of Science in Special and Elementary Education, a Masters of Science in Occupational Therapy, and a Doctor of Philosophy in Education. 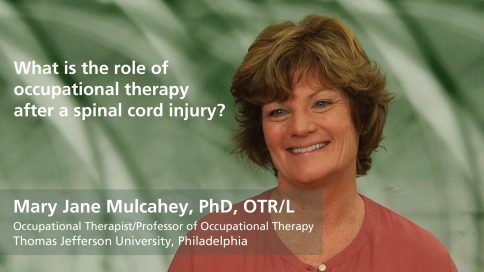 What is the role of occupational therapy after a spinal cord injury? 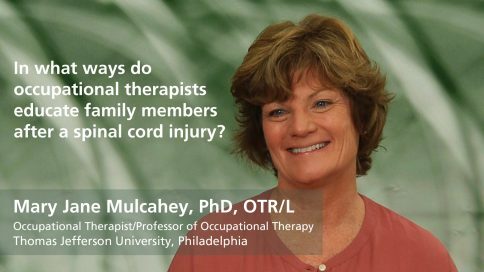 In what ways do occupational therapists educate family members after a spinal cord injury? What home modifications are necessary for someone using a wheelchair after a spinal cord injury? 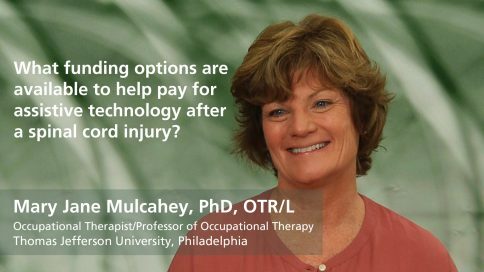 What funding options are available to help pay for assistive technology after a spinal cord injury? 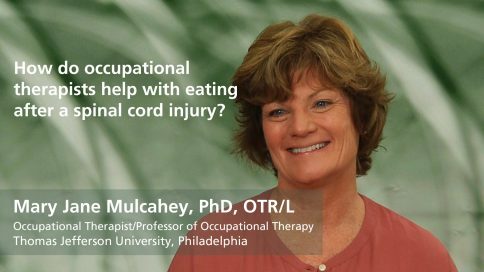 How do occupational therapists help with eating after a spinal cord injury?